Since you're able to bundle our various products as you see fit, we can provide you with customized brand solutions supporting your daily business, and brand value. Being able to offer this, Frontify can fit all kinds of different industries, supporting businesses of all shapes and sizes – from the smaller ones – up to multinational corporations. Here are some examples, giving you a deeper insight into how some of our more prominent clients are using Frontify in their day-to-day operations. 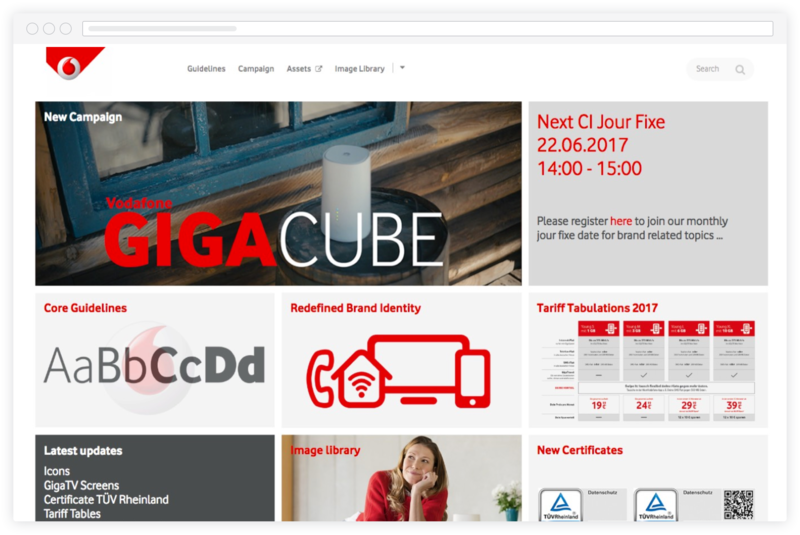 Vodafone decided to build a complete asset management solution with Frontify, including a Brand Portal, Style Guide, Media Library, and Workspace; a collaboration tool – enhancing all of their branded work. With over 8000 digital assets residing in the Frontify Media Library, their 1200+ Frontify users can increase the production rate, and efficiency – saving both time, resources, and money through heightened usability. Read the whole Vodafone story. 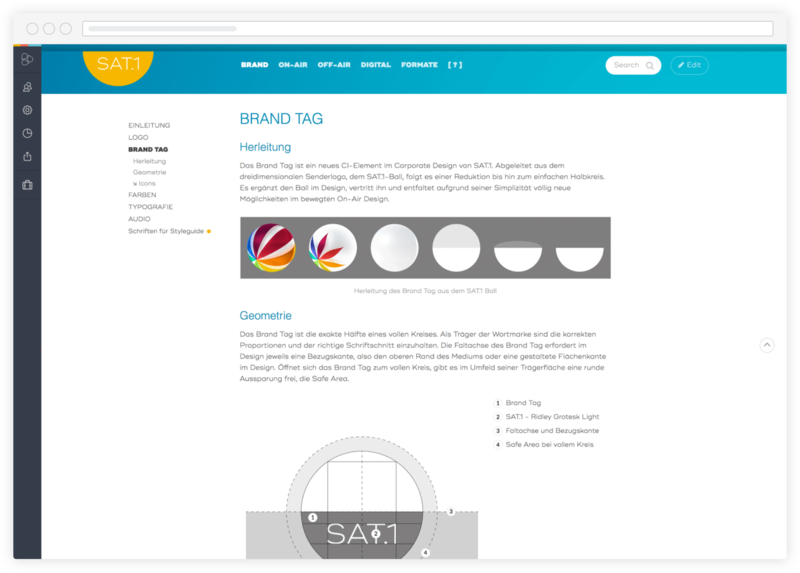 As ProSiebenSat.1 were looking to rebrand their visual appearance, substantially improving their brand design – they were looking for a comprehensive multiple brand guidelines solution to increase the brand’s quality, by refining its documentation. With their extensive use of multiple brands and Style Guides within the Frontify platform, they're able to supply their entire team (internal, and external) with brand guidelines, through the cloud. They can now ramp up the whole design-to-development process by always sharing current assets, without having to update everyone's old brand material with tiresome email send-outs. Read the whole ProSiebenSat.1 story. 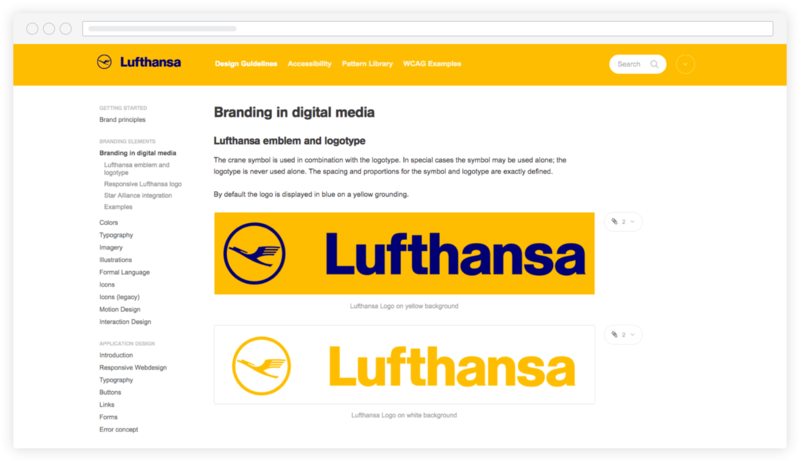 The way that Lufthansa supplements their brand with Frontify is somewhat magical. After empowering their Style Guide with all essential assets, they coupled it with the Frontify Workspace – allowing a rich workflow through interdisciplinary collaboration and task-assignment for design iteration. 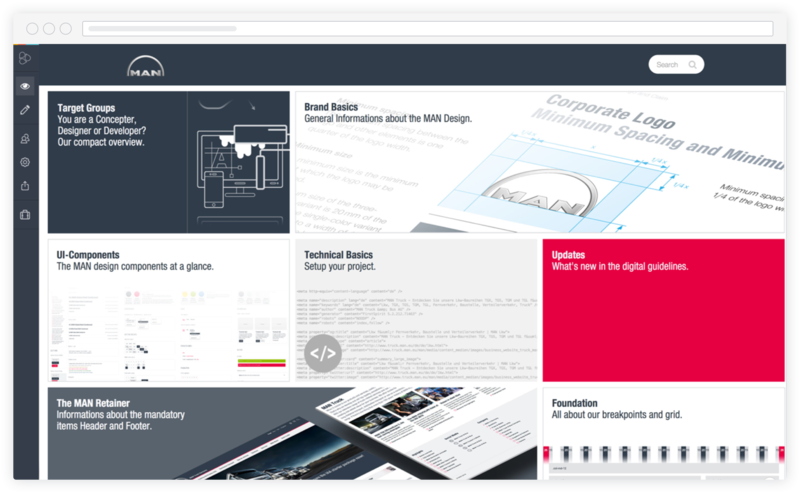 Now, as they prepare new design assets, they can quickly unite all the concerned stakeholders in one digital room, and collectively strengthen the process. This solution allows for an increased efficiency through clear documentation and hassle-free approvals. Simply clever. Read the whole Lufthansa story. 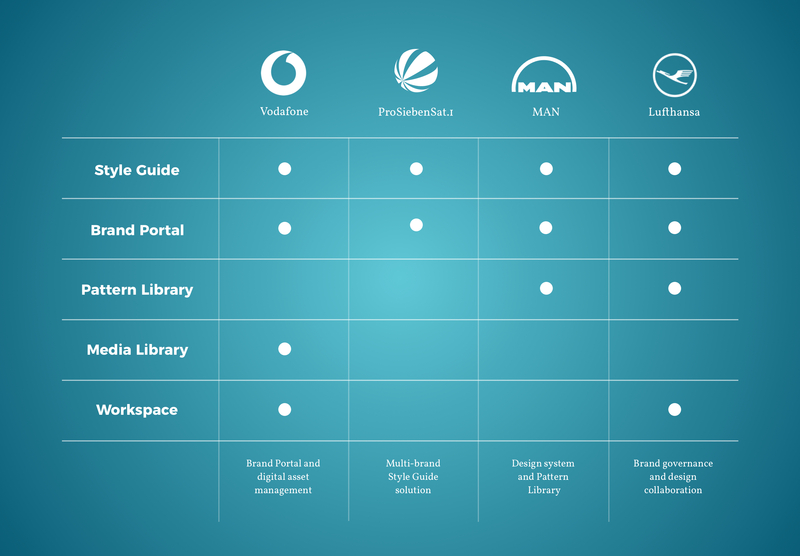 The use of Frontify has helped MAN in obtaining a complete design system, speeding up all processes, from the initial development of patterns and its documentation – all the way to the final push-out. The integration of Pattern Libraries within their brand guidelines ramped up their production rate and allowed none-developers to access code snippets and comprehensible use-cases for them, bridging the gaps between pre-existing corporate silos; brand management in the digital age. Read the whole MAN story. Do you struggle with your current day-to-day marketing and branding operations?